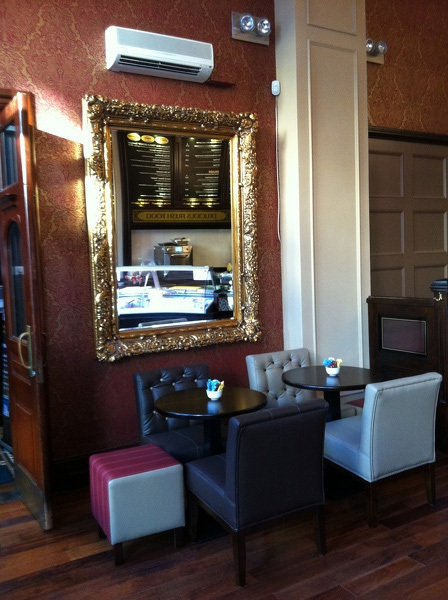 Esquires Coffee franchise owner Kealan O’Connor opened his doors to the public on the 7th November 2011 in West Street, Drogheda. The new Esquires Coffee outlet has created 10 new jobs and offers all the products and hallmarks that have made the Esquires’ franchise opportunity so successful in Ireland and around the world. 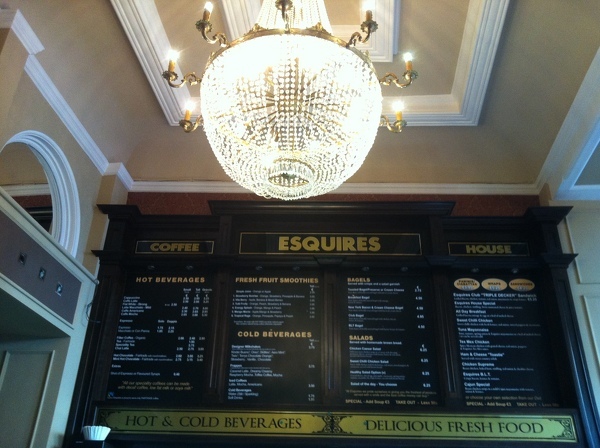 “At Esquires, our main aim is serving that perfect cup of coffee combined with the freshest locally sourced produce. Relax with the daily papers and our professional ‘baristas’ will take care of the rest. We always strive to provide our customers with excellent customer service, it is and will always be a hallmark of our business,” adds Kealan. “I have been involved in a number of businesses over the last few years but I always felt I would like to open up a top class coffee house where people could come in, relax, enjoy good food, good coffee and good company in very nice comfortable surroundings. As luck would have it, I came across a beautiful old Bank building that had been lying dormant for a number of years in Drogheda and immediately I realised the potential it offered. The old Bank building like many Bank branches today had been totally modernised and unrecognisable from what it had looked like in its prime. I took out a lease on the premises and then had to make a decision as to whether to take out a franchise or do my own thing. I talked to a number of different parties including fit out companies and wasn’t overly impressed with the advice I was getting. All of a sudden, it became very obvious that with no catering experience, the Franchise route was the only route to go. It was then that I came across Esquires Coffee Houses. I visited a number of their stores, liked what I saw of the operation and was impressed with the ambience in the different stores. I then made contact with them and it just took off from there really. Initially, I met the Master Franchisee, Tony McVerry and felt he was a person I could work with and trust which is very important. He explained that to become a Franchisee, no previous background or experience in catering was necessary as Esquires would do all the training with both the Franchisee and staff, just a willingness to work hard, a love of the business and a dedication to excellent customer service. One thing I have learned about franchising is, it’s very much a partnership between the Franchisor and Franchisee, everyone has got to work with each other for each other and that’s the way is has been from day one. The next meeting took place in the unit in Drogheda and the strong advice I received from Tony was the success of the coffee house was going to be in the design of the building and the resultant look and feel in the coffee house. Esquires design each store to its own individuality and Tony explained that the company’s policy is to be both progressive and versatile in every respect, each new store starts off with a blank canvas. 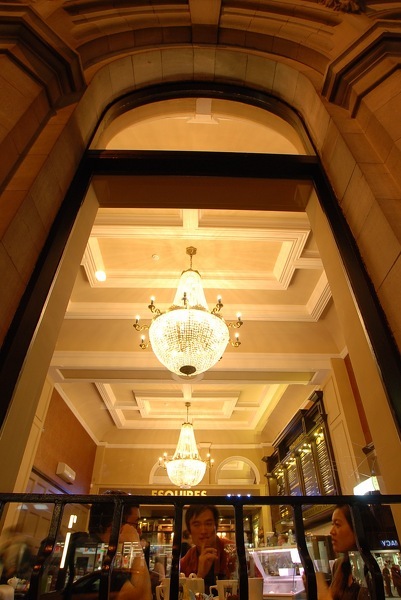 Despite the fact that there were two false ceilings in the building, we both knew that behind this modern facade there was bound to be some beautiful cornicing and coving and that the goal must be to bring the old Bank premises back to its former glory. Esquires then tasked their Designer to draw up plans to this effect. This necessitated bringing the whole building back to shell and core and starting all over again. We were fortunate in the choice of building contractors, Keal-Ryan Properties Ltd, Navan, completed most of the work and their workmen did a fantastic job for us. A lot of the cornicing and coving had been damaged over the years and considerable repair work ensued. A lot of hard work, a lot of patience, some very good days, some not so good but I am delighted to say we got there in the end. The feedback we have got since we opened has been truly amazing, the coffee house looks incredible and our wonderful customers love to come in for a chat with the staff or to meet up with friends or family. I also have to pay tribute to the professionalism of the whole Esquires team in guiding me through the lead up to opening, during and after. They took control of recruiting staff, they performed all the training, their Operations people took control of setting up all the accounts, getting the best deals, doing all the ordering and stayed with us right through until we were happy to paddle our own canoe. I have to say the ongoing support we have received from Esquires has been excellent. The Head Office team is very experienced, professional and hands on, they very regularly visit us and we know they are always on the other end of a phone.